ANDY MCMILLIN, No. 31 (First in class and first overall four-wheel vehicle to finish. Andy McMillin drove solo.) – – What a day. That was a really fun race; a lot going on. We rolled the truck, got a couple flat tires and we’ll see. They are saying that Bryce (Menzies) broke right before the finish so I’m not sure what that means. We will see what happens. It was a gnarly course, but I really like it. It was very fun, very challenging. I think the more the challenging the better. I like the longer courses, the rougher the better for me, more mentally challenging. We made one little mental error today and rolled it, but we kept pushing. We never gave up and it was a great day. RYAN ARCIERO, No. 32. (Second in class. Ryan Arciero drove solo.) – – Probably the hardest race I’ve done. I have to dedicate this finish to Chris Crampton who is back at home. Chris got hurt at the Mint 400 a couple weeks ago and hurt his back really bad but we miss him a lot. He was the crew chief on this truck. I want to say hi to my wife and two kids. This was awesome. My team did a phenomenal job. We did our homework on the race course. That is what is so awesome about SCORE – being able to pre-run and finding your lines, knowing where the rocks are. I think it makes it safer as far as the racing goes. I got one flat tire around mile marker 270. My fault – the truck got out from under me and the guys did a great job getting it fixed. The guys at Herbst did a great job with this truck. We beat the crap out of this truck. The fans in Baja, California are the best fans anywhere. There is nothing better than the fans and SCORE putting on a great event. The amount of bumps that this course had absolutely relentless. It was incredible. It put you to the task. The truck did a phenomenal job. DAN MCMILLIN, No, 23 (Third in class. Dan McMillin drove solo.) – – I started 37th so I know I finished better than that. I never got a flat tire, I never got out of the truck, I never had an issue all day. My BFGoodrich Tires were awesome, Fox Shox were great, I’m exhausted. ZAK LANGLEY, No. 50 (Fourth in class. Zak Langley started and drove to race mile 140. Kyle Jorgensen drove from mile marker 140 to the finish.) – – The course was really rough. It’s more torn up than I’ve ever seen it. We were just holding on for dear life. In Matomi Wash, there was one SCORE Trophy Truck in front of me but we managed to get around him. For the rest of the day that kind of set the pace. We were seeing trucks fall off left and right. I knew how rough this course could be so that’s why we decided on two drivers. I decided to team up with Kyle for the whole SCORE season. We seem to be working well together. CO-DRIVER KYLE JORGENSEN said: The truck was flawless. It was a good day. Nothing slowed us down except we did have to fix the brakes. Glad to be here at the finish line. Thank you to SCORE for a great event. LUKE MCMILLIN, No. 83 (Fifth in class. Luke McMillin drove solo.) – – The course was good. It was brutal. We lost the power steering at one point and had to change it and lost at least 20 minutes there. We tried to come back for Ryan (Arciero) but didn’t have enough time to close the gap, but I think we made the podium. We will see. CAMERON STEELE, No. 2 (Sixth in class. Cameron Steele drove solo.) – – Today was certainly a lot more than just a race. We had a special hitchhiker with us. Pistol Pete’s family asked us to take Pete (Sohren) along with us today. It’s obviously very emotional for us to be here in San Felipe. Pete loved and we all love San Felipe. He lost his life here. Today we raced hard, but we raced with special wings. We just tried to keep it smooth. No matter how we finished, it doesn’t matter, we just want to say God Bless Pete and everything he did for our sport. He will always be in our heart. I want to thank Tammy and the whole Sohren family for allowing us to run Pete’s number on our truck and carrying him with us. It was really special. We want to say thank you to the community for embracing and putting their community arm around the Sohren family, whether it is running his sticker or buying shirts. SCORE went above and jumped right in to support the girls and the family and want to say thank you to them. I want to thank my wife and kids at home. It’s been a long week and I can’t wait to see them again. I wanted to get this truck to the finish line for Pete. It looks like both our trucks will finish in the top ten. I didn’t have a great day personally but I think having Pete hitchhiking with us was cool and it got better for sure. There was a lot of working our way through traffic. BOBBY PECOY, No. 14 (Seventh in class. Bobby Pecoy drove solo.) – -The race was awesome; had a blast. Brand new truck to me, I think I had all of about 40 minutes in it and I jumped in it and it was like butter, it worked really good. This whole Desert Assassins team is absolutely amazing. It is mind blowing how well they put that truck together with only two weeks, not even that, they only had their hands on it for less than a week when we finally got it. Awesome race, had a lot of fun. It was challenging. All those whoops…welcome to San Felipe! Unbelievable. TRUCK OWNER CAMERON STEELE said: We are running both trucks all season. It’s just awesome… Bobby and I have been riding dirt bikes to Cabo San Lucas for the last eleven years together, we’ve race Pro Buggies together. For the last few years we have been teamed up, and he finished in the top 10 in the SCORE Baja 1000 in 2017 but has been focused on the Trophy Truck Spec class. So now it’s time to go SCORE Trophy Truck racing for both of us…big boy pants…and he did. He came in the top 10, maybe even the top five. JUSTIN LOFTON, No. 41 (Eighth in class. Justin Lofton drove solo.) – – That was a rough one. A good day all in all. Really happy with our Fox Factory No. 41 Jimco SCORE Trophy Truck. It was an experience for sure and we are looking forward to a good starting position for the SCORE Baja 500 and coming back and doing the SCORE San Felipe 250 next year. This is definitely a physical sport and the faster were go the more it takes. I have a dedicated navigator/prep guy and a big thank you to him. CHRIS MILLER, No. 40 (Ninth in class. Chris Miller and Jimmy Nuckles shared driving duties.) – – SCORE did a great job. This race was just absolutely just killer. I loved it. It was basically a mini SCORE Baja 1000 – high speed, sand washes, turns, whooped out, beat-out stuff, goat trails, mountains, summits, wide-open desert sand. This was an unbelievable race. I’d like to thank Roger Norman and SCORE and everybody that put the race together. This was unbelievable. Great job. We put a whole new suspension package under this truck. It worked well during testing in Plaster City. But when we brought it down here we hadn’t done enough testing on it and this is a whole different terrain. We have a lot of work to do. We lost our throttle cable and had to pull over and fix that, probably losing five minutes there. And we lost first gear in the first 20 miles of the race so we had to go Matomi Wash and the silt beds in second gear. It was unbelievable. We struggled but we fought and made it to the finish line and I’m super thankful. ROB MACCACHREN, No. 11 (18th in class. Rob MacCachren drove solo.) – – Everything was going good. We started first off the line until mile marker 80 or 85 we started having a converter run real hot and I tried to take care of it and baby it but it slowly kept getting worse and worse and finally we had to roll in and change the transmission at race mile 138. After that we had no problems, no issues with the truck. We won this the last two years and we wanted to make it three in a row but it wasn’t our day. SCOTT BAILEY, No. 1L (First in class. Jerry Whelchel drove from the start to mile marker 140. Scott Bailey drove from mile marker 140 to the finish.) – – Gus Vildosola had surgery a couple weeks ago so he was unable to drive so we got Jerry Whelchel to drive for us. We will probably have him drive with us at the Baja 1000 too. We had a great race. ROB REINERTSON, No. 72L (Third in class. Rob Reinertson drove solo.) – – It was a good race. The only issue we had is we had two flats, one about 65 miles out and the last one at about mile marker 270, but that was it. It was a rough course and a long day, but everything else was good. We are running for the 2019 SCORE World Desert Championship. BRAD WILSON, No. 100 (First in class. Justin Munyon started and drove to mile marker 165. Brad Wilson drove from mile marker 165 to the finish) – – It was a pretty clean day. Justin had one flat tire that took out a brake line. That’s really where we lost our time. This course was brutal. We caught up to some trophy trucks and tried to get through safely. I made one driver mistake at around mile marker 300 and got another flat, but changed it with no problem. We made it to the end. I can say that I have never driven as hard as I had to in this race in my life. It was hold on and enjoy the ride. Everyone is going to say it, the course was brutal. We are no strangers to Baja but between pre-running and the race the course is so different. We took our time going over the summit. I’m a rock guy so I loved it. It’s our second race in this truck and we couldn’t be happier with the finish. SHELBY REID, No. 168 (Second in class. Dale Ebberts started and drove to mile marker 160. Shelby Reid drove from mile marker 160 to the finish. ) – – We are excited. I have to thank for a great car, BFG’s are a great tire. We pushed hard all day. That was a rough course. It had everything in it. I’ve been fighting the car suspension-wise for about the last 100 miles or so; it kept stepping out on us when we hit something. I was on the nose most of the time. We tried to figure out where the Wilson’s were to see if we could back it down a little. Once we got confirmation that we could back it down, we did a little. The last forty miles of whoops are brutal so I just backed it down so I could get it to the finish line. Dale did a great job. He gave me the car in first place and we were able to keep it there. That was crazy. The SCORE San Felipe 250! JUSTIN DAVIS, No. 185 (Third in class. Larry Job started and drove to mile marker 165. Justin Davis drove from mile marker 165 to the finish.) – – Larry drove a good pace. When I got in the car was solid but when I was going up the summit the whole shifter broke off so I had third gear and then half way through the summit the motor started doing weird stuff so we had like seven cylinders. I pushed it as hard as this car would go, to about the point of breaking. We ended up third or fourth. We will take it. It puts us in a good spot for the SCORE Baja 500 and we want to win that. BRENDAN GAUGHAN, No. 162 (Fifth in class. Brendan Gaughan drove solo.) – – I tell you what…that was the roughest SCORE San Felipe 250 in history. It was so much fun. I appreciate it. My nephew, Jake, this is first race of his life. He has never been in a race car before, and he finished his first race. Pop-pop will be really happy. Thanks to Pop-pops for getting us out here. My first race ever on BFGoodrich Tires. We didn’t get a single flat. And with the way this course was, pretty damn impressive. This is a 14-year old Class 1 car that I had twenty miles in and we just finished in the top five first race out. Better watch out the rest of the SCORE year. We are going to make them all. We broke a wheel and had a trailing arm and had to weld it back together so we lost about fifteen minutes welding that up. Other than that, not a single flat. And I knew I had to bring my nephew back home or my brother and sister-in-law might not let cross back over the border so I had to make sure I took care of their baby boy. So much fun to have him with me. I remember being 15 at my first Mexico races and it is so much fun to have my nephew do it with me. We are looking good in points going into the next race. I wish we were a little higher up but that is because I’m a race car driver and that’s what we want. But this track challenged us a little. Great job to the SCORE crew and SCORE officials and great job to all the people of Mexico. I tell you what, there were spectators in the middle of nowhere around this place. They love their desert racing here in Baja and it was a great, great race for all. What makes it great is the people and we love SCORE racing down here and we hope we are here for the next 50 years. I gotta thank Collins Motorsports for still taking care of baby Huey and my brother Mike; it’s the first time I got my brother Mike back down here to Mexico in 25 years so I think we are going to try to keep the Gaughan family coming back for many more. Thank you guys, thank you SCORE and VIVA BAJA! AUSTIN ‘A.J.’ JONES, No. 279 (First in class. Austin “A.J.” Jones drove solo.) – – We had a good day. Today was flawless. We didn’t have any flats, my BFG tires were hooking up all day, my Vision wheels were absolutely flawless. TSCO Racing puts together a hell of a truck. We started out fourth, we got in first position around mile marker 20 and we never looked back. No flats, no problems, no nothing. Now we are here. First place! SARA PRICE, No. 204 (Second in class. Sara Price drove solo.) – – That course was brutal. The whoop section was insane. I knew I had to beat AJ (Jones), he was in my sights the whole time, but I think I had an extra pit stop. But we were on it today. We were on point, pushing it, going very fast today. I was very pumped. We had a little bit of an electric issue – our GPS is broke but other than that we were good. We killed it. We cant thank our sponsors enough, RPM, BFG, Super ATV, Raceline Wheels, Rugged Radios, Polaris RZR. (Navigator) Erica (Sacks) did great job. CHARLES DORRANCE, No. 299 (Fourth in class. Charles Dorrance drove solo.) – – I started out with a pace, passed a couple guys, got passed by a couple guys, but I didn’t really push or anything knowing that there was a lot of race here. I just avoided every rock like the plague. I did not want to hit my differential or my driveline so anytime I saw a rock I was trying to find a better line to get through and just take my time. It looks like it paid off. I’m fourth physically so we will see how it turns out in the end. CHELSEA MAGNESS, No. 232 (Fifth in class. Denver Robinson started and drove to mile marker 145. Chelsea Magness drove from mile marker 145 to the finish.) – – It was a pretty smooth race. It was a lot of fun, a lot of whoops, it was really rough. The truck is just a little beat up. This is a brand new truck and we plan on racing it in the SCORE Baja 500 and the SCORE Baja 1000. CESAR CUEVAS, No. 1011 (First in class. Cesar Cuevas drove solo.) – – I drove the race all by myself. The course was terrible but we didn’t have any problems thanks to the Lord. The only problem was 45 minutes of bottleneck waiting for the cars in front to move out of the way in Matomi Wash. Once the trophy trucks passed that sections was destroyed by the trucks so we were having a hard time getting through there. There was a section 40 minutes before the finish where the whoops were very difficult. I’ve never seen whoops like that before in at the SCORE San Felipe 250 race, but we got in a rhythm and went through. CHASE WARREN, No. 1008 (Second in class. Chase Warren drove solo.) – – We started in the back today. We knew it was going to be a long rough day today with a lot of rocks. We passed about half the field before the Matomi Wash and we got in there it was a dead stop. We were stopped for 45 minutes. We didn’t get stuck, it was a truck up ahead that was stuck and we had to wait. A couple of guys got through so we knew we were down about 45 minutes at that point at least, going out. We passed everybody back after that except one so we are just waiting to see where we end up on time. It was tough. A lot of rocks, a lot of whoops, a lot of silt. The only tough thing to stomach was the back-up at Matomi Wash. When you get stuck and everyone else gets to go, it’s a little tough. We thought we were only a couple minutes back by the last 40 miles left in the race so we were trying to make up the time so we went as absolutely as fast as we could all the way back in and it was hard, taking a lot of work on the hands and hits to the head. CODY REID, No. 1068 (Fourth in class. Michael Ward started and drove to mile marker 162. Cody Reid drove from mile marker 162 to the finish.) – – I got to give SCORE credit. This is probably one of the roughest SCORE San Felipe 250 I’ve done yet. It is so square-edged out there between the rocks and everything. I made a few driver mistakes that cost us to fall back from second to sixth but we were able to push hard and never gave up and it looks like we picked a couple more spots back up; we will see how the time plays out and hope for the best. MICHAEL COLEMAN, No. 721 (First in class. Michael Coleman started and drove to mile marker 150. Mitchell Coleman drove from mile marker 150 to the finish.) – – The last forty miles was awful, brutal. Great race. I can’t explain how rough it is. Thanks to SCORE for putting on a great race down here in San Felipe. It’s a great venue, a great location. It was a lot of fun, crazy, rough race. I don’t know how they can make it any more rougher next year. Everything was great except for the bottleneck in Matomi Wash. I wish we didn’t have that. We waited for 45 minutes and a lot of people got around us. I wish that didn’t happen because I like to be competitive overall with everyone else. We had a great time. Super truck. We never turned a wrench on the truck. We didn’t have any communications all day long but we kept running. The truck ran flawless. BFG’s were amazing. Ford trucks are tough. We love Raptors. We won last year when Mitchell (Coleman) was 16 years old and again this year when he was 17. WAYNE MATLOCK, No. 2971 (First in class. Wayne Matlock drove solo.) – – That was a rough SOB. We got our money’s worth out of that course. That was tough. I say it every year, but that was one of the toughest courses. I shouldn’t say one, that was THE toughest course I’ve ever done. I mean the SCORE Baja 500 is nothing compared to that. That was brutal. The rocks. My hands and wrists are aching. I haven’t been sore from a race in a long time. We pre-ran for about four days. 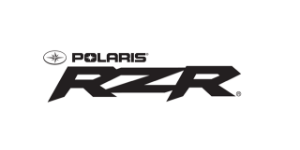 We can’t say enough about the Polaris RZR. We got passed but then I put it in 4-wheel drive and passed him back and never saw him again. MIKE CAFRO, No. 2975. (Second in class. Jamie Kirkpatrick started the race and drove to mile marker 160. Mike Cafro drove from mile marker 160 to the end.) – – We could get through many areas better than other cars with the four-wheel drive. We had a great race. MARC BURNETT, No. 2906. (Third in class. Marc Burnett drove solo.) – – It was a rough race for sure. We had a lot of problems out there today but to win the race you have to have a flawless race. The car did great but we had a little problems here and there. But we finished the race, maybe in third. We would like to get first, that was my goal. I think we could have but we had a problem with the axle and it took a while to get it fixed so it happened and we got it done and we are here, which is nice. PATRICK STONE, No. 2919 (Fourth in class. Patrick Stone drove solo.) – – My navigator kept me on course the whole time. The only major event all day was the bottleneck at Matomi Wash. Other than that it was pretty much a flawless race, other than a couple of gremlins that got us today. But you know, that’s racing. EDGAR GARCIA, No. 2987 (Fifth in class. Edgar Garcia drove solo.) – – It was a very hard race but it was a lot of fun. It was very difficult…fun…but difficult. We had a few problems but here we are, we made it to the finish line. FREDDIE WILLERT, No. 1206. (First in class. Freddie Willert started and drove to mile marker 38. Stan Potter drove from mile marker 38 to the finish.) – – Our race pace was set by the bottle neck in Matomi Wash. A lot of people waited their turn on the honor system but some did not and did some passing and that was kind of a bummer. Hopefully SCORE will look at that. Other than that this was a really challenging course and a hard day. JESUS DE LA TORRE, No. 1237 (Second in class. Leonard Navarrate started to race and drove to mile marker 137. Alex Navarrate rode from mile marker 137 to mile marker 250. Jesus De La Torre rode from mile marker 250 to the finish.) – – It was a very difficult race but with the help of two other teams, Rayo Motorsports and Robots we were able to complete the race. We drove the hills in the back country without a clutch. It was difficult for the car to keep climbing and climbing in just first gear. The most difficult part was the last five miles. We could see the town of San Felipe but it felt like the car was not going to make it, but we made it happen. KRISTEN MATLOCK, No. 1954 (First in class. Kristen Matlock drove solo.) – – At race mile 108 we lost power steering and it never came back. Almost 250 miles with no power steering today. That was crazy. My hands will never be the same. We earned our champagne today. We purposely start last because we like to know where we are at at all times. That way as we pass people as long as we are in front of them we know we are winning. Takes the guess work out of it. Our crew has so much to do already, it’s something that we can take away from them so that we don’t have to think about that too. They can just check out our car and put gas in it and go. I want to thank Polaris RZR, Fox Shocks, Yokohama tires, Seal-it, my co-driver, navigator and cheer leader and my crew. TRAVIS WELLS, No. 1995 (Second in class. Travis Wells started and drove to mile marker 170. Rory L’Hommedieu drove from mile marker 170 to the finish.) – – CO-DRIVER RORY L’HOMMEDIEU said: My wrists are pretty sore. The whoops are deep, so deep. It was a rough course but I had fun. This was my first SCORE race. ERIC PAVOLKA, No. 1625 (First in class. Eric Pavolka started and drove to mile marker 170. Andy DeVercelly IV drove from mile marker 170 to the end) – – I love the course. I loved it. It was awesome. Great course. It was rough but that’s what we love, a rough, tight course. We’ve been coming here for four generations now. We had a great run. I want to thank my family and crew. If I won the lottery tomorrow, this is the team I would pick over again. I told my wife if we win this, we have to keep going, so the SCORE Baja 500 is in the works. CO-DRIVER ANDY DEVERCELLY IV said: It ain’t easy, it was brutal. We just would go and go. We had no issues with the car, no flat tires. We are really stoked. JOSE DAVID RUVALCABA, No. 1609 (Second in class. Jose David Ruvalcaba started the race and drove to mile marker 110. Esteban Cruz drove from mile marker 110 to mile marker 260. Jose David Ruvalcaba drove from mile marker 260 to the finish.) – – CO-DRIVER ESTEBAN CRUZ said: We like the challenge of the summit. We had no issue at the summit but we did have power steering issues after that and had to drive for a while with no power steering. It was a difficult course but it brought in the real Baja because we had the legendary Matomi Wash and the summit. This race really brought in all these epic adventures that every off-road man dreams of racing. I think not only was it the longest but the toughest and most epic of all the SCORE San Felipe 250’s so far. I’ve been a SCORE racer since 1993 and I’ve raced many SCORE San Felipe 250’s and I can tell you that this course I really enjoyed. Every course is good here but they are all really tough and whooped out but the set up for this one, you had a little bit of everything. So we really enjoyed that. JUSTIN MORGAN, No. 1x (First in class and first overall motorcycle to finish. Justin Morgan started and rode to mile marker 92, Justin Jones rode from mile marker 92 to mile marker 179, Mark Samuels rode from mile marker 179 to mile marker 310, Morgan rode from mile marker to the finish.) – – I like this type of riding. Matomi Wash was good for me so it worked out really well for me and this new bike is awesome; it has six gears. The first gear is nice and low to get through the rocks. The beginning of the race was interesting, we had a little bit of traffic ahead of us and the sun was coming up so it was difficult to see so I was glad we were able to get it out front. It makes it safer when you are in the clean air. CO-RIDER JUSTIN JONES said: I kinda filled the void for the team and ran up a couple of whoop sections and up the dry lake bed. It was really good; the bike was awesome and I had a lot of fun surviving another SCORE San Felipe 250. RAY DAL SAGLIO, No. 4x (Second in class. Ray Dal Saglio started and rode to mile marker 140. Troy Vanscourt rode mile marker 140 to mile marker to the finish.) We were battling with 66x the whole race but everything went smooth. We are just a two-man team, we did one rider change. We pushed it hard. This is a really tough course to ride a lot of miles – by the time I got to 140 I was exhausted. I saw Troy at 305 and he was exhausted but he was so close to the finish he was ready to bring it in. CO-RIDER TROY VANSCOURT said: It was awesome; it was a challenging day for me. I fell twice at the Summit and that cost us a little time. About 10 or 15 miles from the finish here I was fatigued. Nonetheless the bike got us here. I couldn’t do it without the support of my dad, Ray Dal Saglio, Mark Dal Saglio, Mark Winkleman for getting us out there, and our sponsors, Danny Velasquez. Monkey Business did all our pitting. We had a bigger tank from IMS. We also had to use a couple Max 7 pits and they did a good job. STI tires, Nitro Boost. SANTIAGO CREEL, No. 100x (Second in class. Alejandro Sardit started the race and rode to mile marker 109. Homero Diaz rode from mile marker 109 to mile marker 260. Sardit rode from 260 to the finish.) – – Alejandro was having a great race until he had an accident around mile marker 89 due to some new whoops he did not see and he went flying over the motorcycle. He had to lower his pace until he got to the next stop. RYAN LIEBELT, No. 308x (First in class. Ryan Liebelt rode from the start to mile marker 30, Morgan Crawford rode from mile marker 30 to mile marker 110, Greg Bardonnex rode from mile marker 110 to mile marker 170, Brandon Wright rode from mile marker 170 to mile marker 258, Crawford rode from mile marker 258 to mile marker 304, Leibelt rode from mile marker 304 to the finish.) – – We brought in Morgan Crawford this year and brought back Brandon Wright from his blown-out knee last year. He took a year off. All of us will be together the rest of the year. We are super, super stoked. JASON TRUBEY, No. 444x (First in class. Dennis Belingheri started and rode to race mile 26. Jason Trubey rode mile marker 26 to mile marker 107. Paul Luce rode from mile marker 107 to mile marker 150. Steve Tichenor rode from mile marker 150 to mile marker 260. Paul rode from mile marker 260 to mile marker 308. Dennis drove to the finish.) – – CO-RIDER DENNIS SAID – It looks like we got first place, which would be cool. We wish we had a bigger class, but we had 3 guys in our class. We had a lot of issues…some Stella issues. But we made it to the end. GIOVANNI SPINALI, No. 500x (First in class. Earl Roberts started and rode to mile marker 45. John Griffin rode from mile marker 45 to mile marker 170. Giovanni Spinali rode from mile marker 170 to mile marker 257. Troy Pearce rode from mile marker 257 to mile marker 336. Spinali rode from mile marker 336 to the finish.) – – In my section, there were a lot of rocks. AARON RICHARDSON, No. 739x (First in class.) – – Thank you for everybody that puts this on. Great race, relentless. I definitely had a couple moments out there, wondering what the hell I’m doing on this course but all in all in was awesome. What a great event SCORE put together. I thank all my sponsors. I’m looking forward to doing more of this. I might be at the SCORE Baja 500. MICHAEL SKURKIS, No. 729x (Second in class.) – – Baja is a part of me. I love the fans, I love the people, I love the environment. I took a year off from SCORE to go overseas and test the sand dunes and do a little exploring. I’d like to thank Husqvarna, C Concepts, PCI. 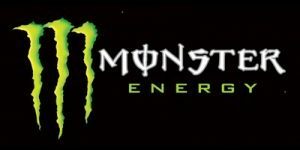 We will be there for the SCORE Baja 500. Bring on the heat. ADOLFO ARELLANO, No. 21a (Second in class. Adolfo Arellano rode solo.). It was a very difficult race here today. 350 miles of terror. Fortunately we were able to finish the race but with a few problems. Our Stella system died on mile marker 140. One of our co-drivers did not show up at the checkpoint to switch so I had to do his section and ride the whole race on my own. I asked who it was that didn’t show up but no one would tell me his name. I’m very, very exhausted.